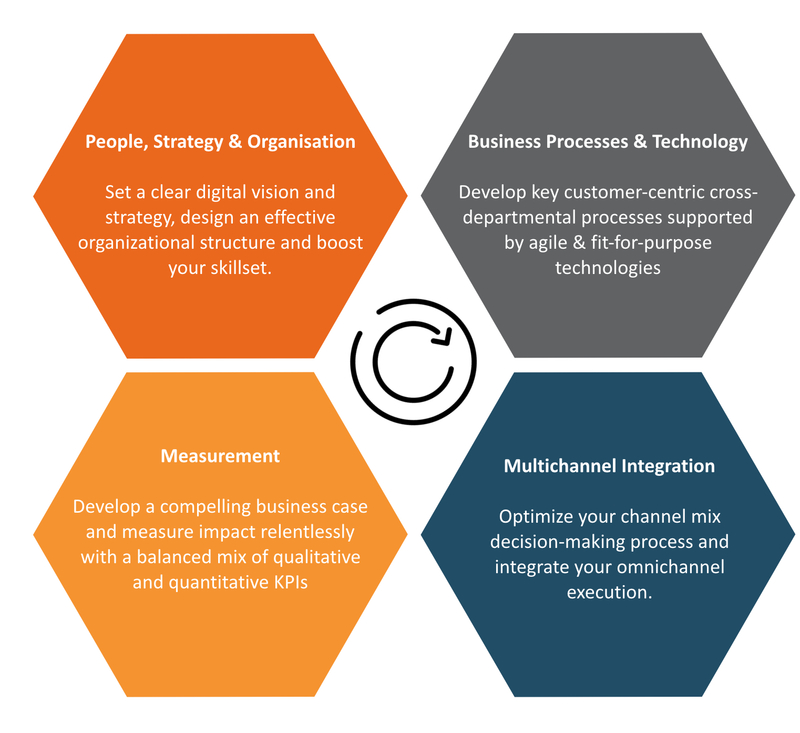 The In-house Multichannel Maturometer is a unique opportunity to benchmark and measure your company’s digital maturity internally and against our high-quality historic database of over 1,000 respondents. Why does your organization benefit from this benchmarking study? How do we perform this study? Using our industry-leading annual Maturometer, we have gathered over 1,000 responses in the past 3 years using an online survey, providing a representative overview on the 4 key dimensions of digital transformation. This dataset is then compared to your data. We produce a benchmarking report, which allows you to easily see how your teams compare internally (HQ vs affiliate, affiliate vs affiliate, marketing vs medical, senior managementvs managers etc); you will also be able to benchmark with other pharma companies in your region, country or TA (custom segmentations are also possible if sufficient data is available) to give you a clear understanding of your strengths, weaknesses and opportunities. These can then be further developed into a fact-based longer-term roadmap and short-term action prioritization. The Maturometer can also be complemented by ad-hoc interviews or an MCM data audit, depending on your priorities. What do you get as deliverables? An extensive (and customized) report showing comparisons to industry standards with insights & recommendations from our experts. A presentation to your team. Data set of the survey responses for further internal analysis (anonymised).